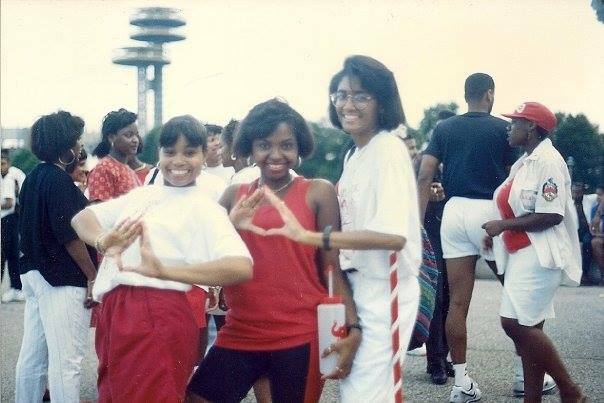 Delt’Nic was founded by a group of sisters in the New York Metro area who are members of the non – profit organization Delta Sigma Theta Sorority, Inc. These innovative women wanted to create a day of fellowship and fun amongst Sorors, family and friends during the summer. Every year, Sorors and fellow Greeks, partake in family oriented fun, consisting of great food, fun games, community service and a step show (all free activities to the public). Each summer we target a different area of concern and strengthen that population in any way we can! Note: Prior to 1995, The role of president did not exist as The Step Mistress served in the role as president and took on the presidential duties although not having the official title. Note: Prior to 1995, The Step Mistress served in the role as president as well as Step Mistress and took on the presidential duties although not having the official title. Note: Chapters listed are chapters of initiation. Contact Us to submit information about Deltnic's history!